I started writing music in the 1992 on my Amiga A500 computer before moving to Cubase 2.8 on the pc with an EMU ESI 32 hardware sampler in 1995. At this time I was writing drum&bass and Hip Hop. 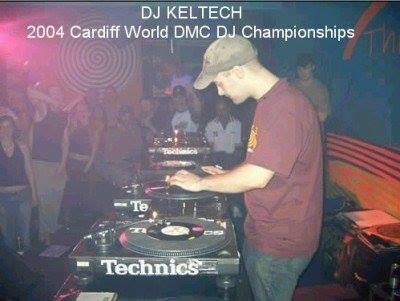 I had a few releases on independent labels and DJ spots in a few local Welsh clubs. I was very ambitous and just wanted to be become a well known DJ. 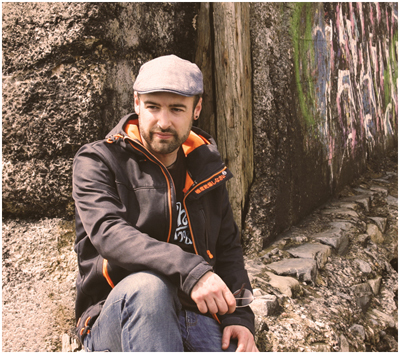 The Drum&Bass scene at the time was quite tough to break into, so I started writing more Hip Hop instrumental music for my friend and rapper Johnny B. We formed a partnership and before we knew it we were performing live around the UK and releasing music together. 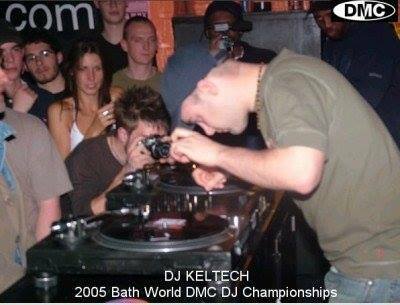 At this time I felt I was under a little bit of pressure to perform as a DJ as part of the live show and worked hard on my scratching skills and turntable tricks. 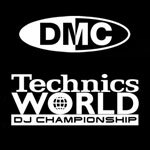 I started to enter DJ competitions battling other DJ's and entering the world famous Technics World DJ championships. 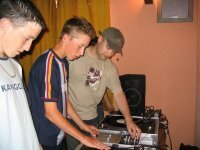 I ended up getting in the top 3 in many of the competitons until I finally won the Welsh Higher Learning scratch DJ championships. 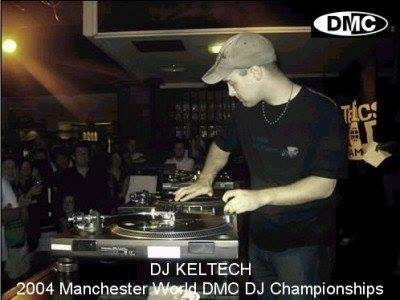 These new skills became part of the DJ Keltech and Johnny B live show and we performaed all over the UK. 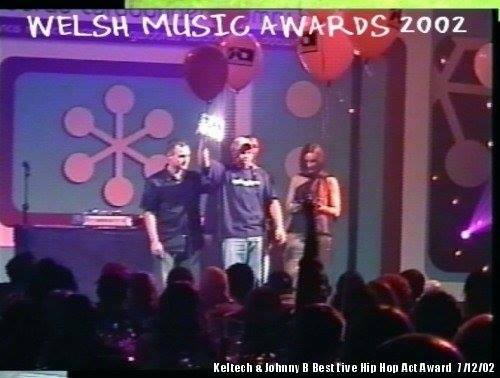 In 2002 we were nominated for best hip hop act in Wales, best producer and DJ and we won all 3 titles that night. 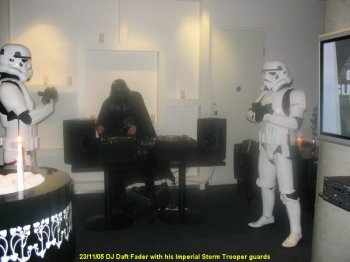 In 2005 while performing at the Bath final of the World DMC I did a live remix of the Imperial March Music, the crowd went mental so I decided to started videoing my DJ routines at home to put on the internet, The first one was my live remix of the Imperial March but this time dressed as Darth Vader. The video was an instant hit and went viral getting millions of hits (watch it here). It lead to a live performance at a celebrity party in Trafalgar Square London, pictured above, then on a mainstream TV showin Begium. I was also asked to remix the War of the Worlds music for Jeff Wayne which got released on Sony records. That same year I received a christmas card from George Lucas and an interview on the starwars.com website! It was a whirlwind year I'll never forget! At this time I was getting lots of calls to DJ in places around the world and to support famous rappers that were on tour. 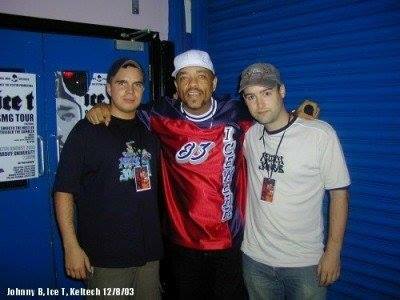 I have supported Ice T, Grand Master Flash and many other famous names in the Hip Hop world with Johnny B. In 2007 one of the top music publishers Pump Audio/Getty Images contacted me asking if I wanted to put my music in their library for licensing purposes. This lead to my music being used on many big MTV shows and featured in some independent films. 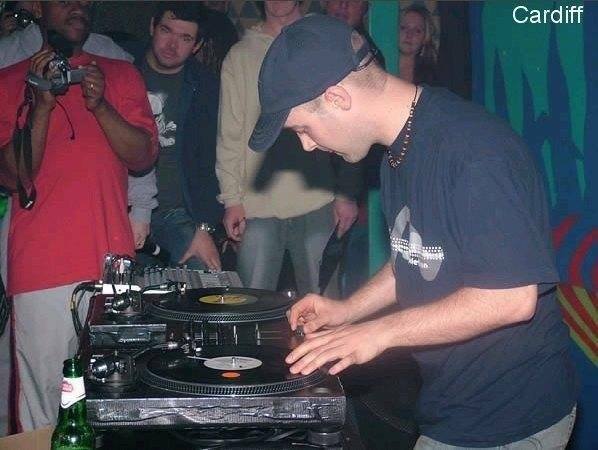 When I wasn't doing gigs or working in a studio I also used to travel around the UK to visit youth clubs teaching young people how to perform tricks and skills on the turntables. Golden Pixil Award 2003 winner for "Best music video"
This is the scratch video i was best known for in 2005, this video went viral (before youtube existed) it had millions of hits and opened many doors for me. Being a fan of this 70's TV show I made this music and video staring myself and some friends. It was shot around Cardiff just using a camcorder on a tripod and then edited in adobe premiere when I got home. The budget was about £30 for two costumes and petrol! I grew up in the 1980's and loved playing arcade machines down at Barry Island here in Wales. Being a creative person and the type of person that grew up taking things apart to see how they worked, I taught myself how to make an arcade cabinet. 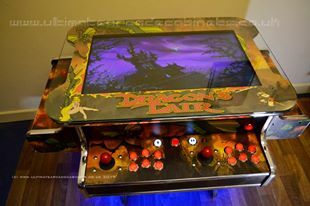 The first one I made I sold on Ebay in 2002 and before I knew it I had created a business making custom arcade machines for customers so they could play old games like pacman and space invaders etc. This business suddenly took off, I was the only one in the UK doing such a unique product. The business became very succesful, I was nominated twice for the Caerphilly Welsh Business Awards in 2014 and 2016 and made it to the final 3 on the night. With the success of the business I had to put my music to one side but always kept my studio gear and turntables. 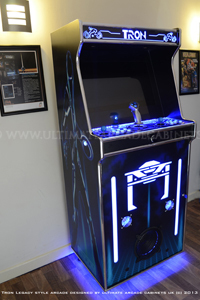 I've been the Managing Director of Ultimate Arcade Cabinets for 15 years.